Dainty Dollymix UK Beauty Blog: Illamasqua Store Opening In Leeds! 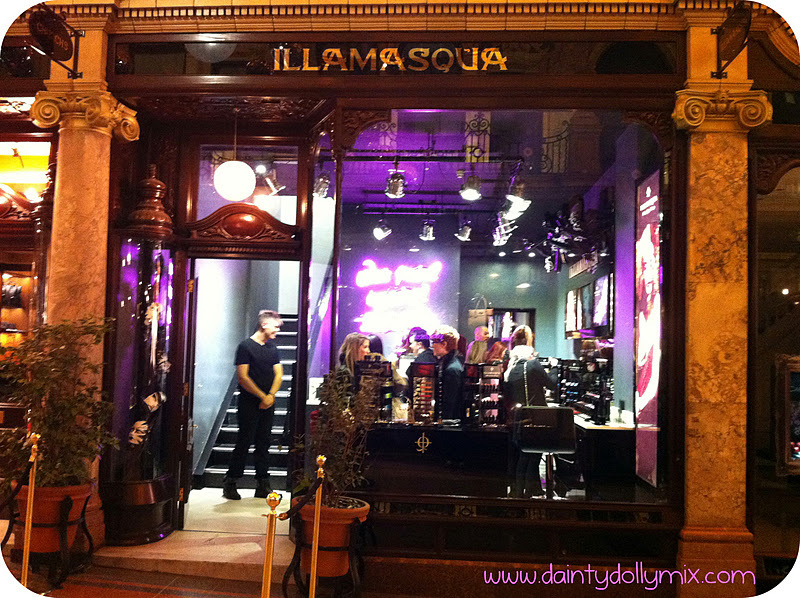 On Thursday evening, I was luckily invited to the Illamasqua store opening event in Leeds. After standalone stores in London and Liverpool, Illamasqua decided to add Leeds to the list! Which i couldnt have been more thrilled about! The store is located in the beautiful Victoria Quarter in Leeds and it is in great company! 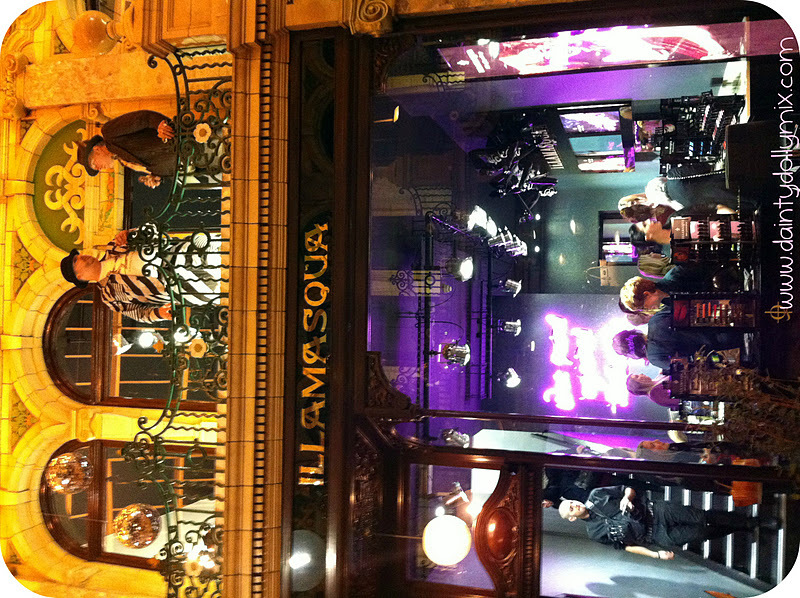 The shop is right opposite Mulberry if you are familiar! I hotfooted it on Thursday evening and was the first to arrive, lucky for me Lucy popped up behind me as i was ticking my name off the guest list. We had a little char and were greeted by a glass of champagne which is always a winner in my book. More familiar faces arrived soon after and i got to see some of my blogging favourites again including Nicoletta, Ray, Lora, Danielle, Caroline and Tor. We got to have a little play around with the products, have a chat with friends, drink champagne and have our make up done if we wanted. 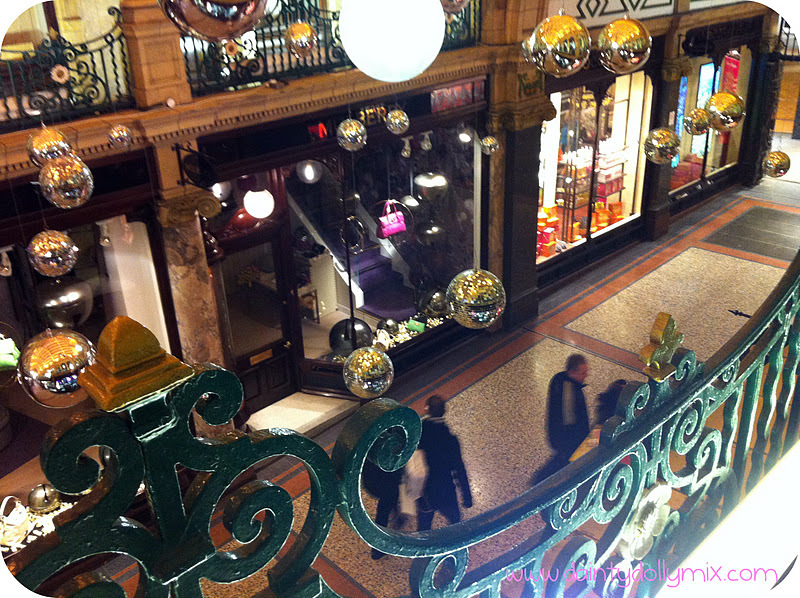 The store is absolutely stunning, just as i expected it to be and i am so excited that it has come to Leeds! 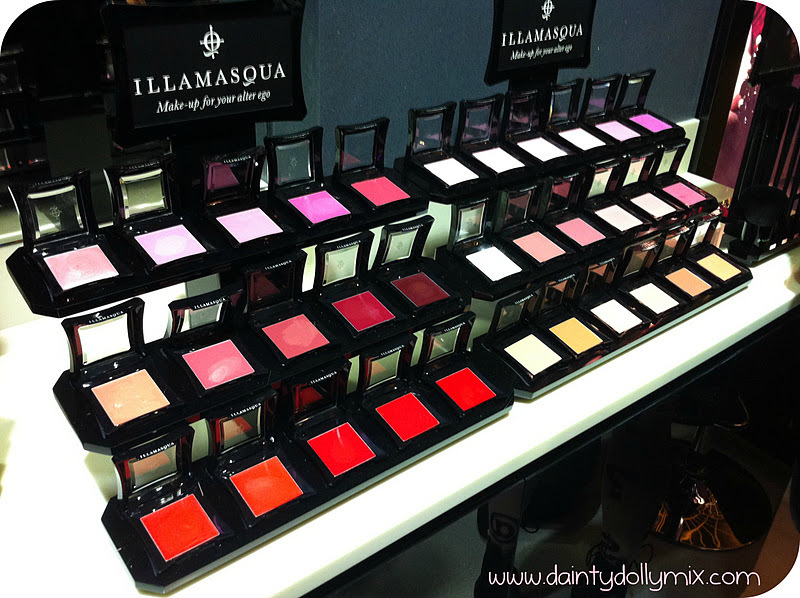 No more trecking to Sheffield now for my Illamasqua fix! 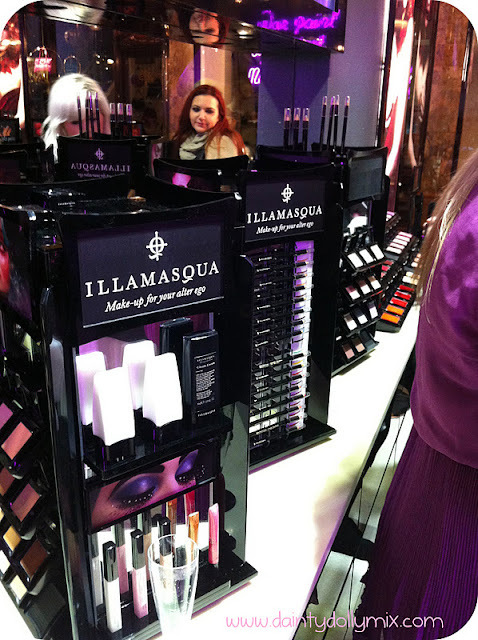 I must admit i was extremely star struck when i spotted Alex Box, famous make up artist, creative director of Illamasqua and the amazing woman behind the beautiful imagery Illamasqua produce. It was especially amazing to be in the same room as her! Have you spotted Alex Box? A massive thank you to all the lovely girls who i had the pleasure in meeting again & making my evening even more amazing, the gorgeous MUA's in the Leeds store and everyone at Illamasqua, especially Hayley for being super lovely as always! I had such a great time! 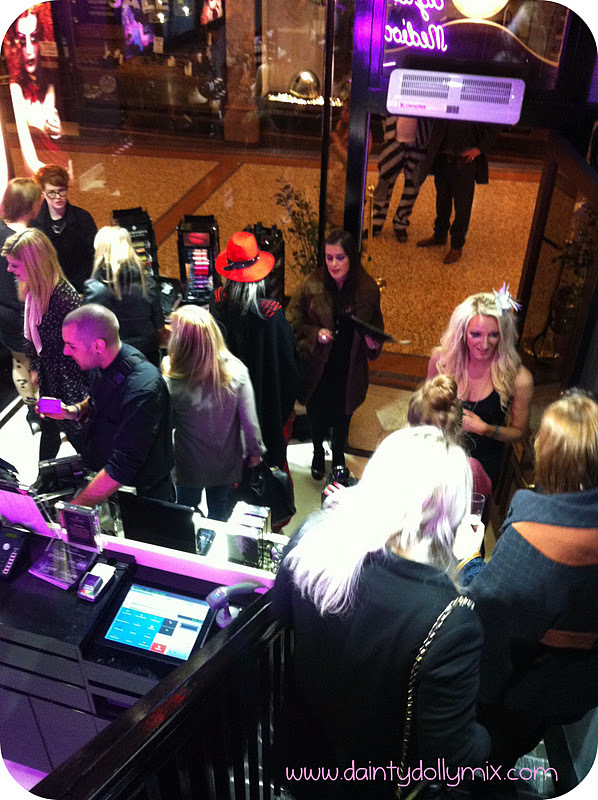 OMG the store looks so pretty! They need one here in birmingham! Is that Drew from Transsummer in the last picture at the bottom of the stairs? This event looks like so much fun!! I need to get myself there sometime =D And thanks for the links, now I'm finding more local bloggers - I'm from North Yorkshire, so I'm really excited to discover a whole group of people from near me!! 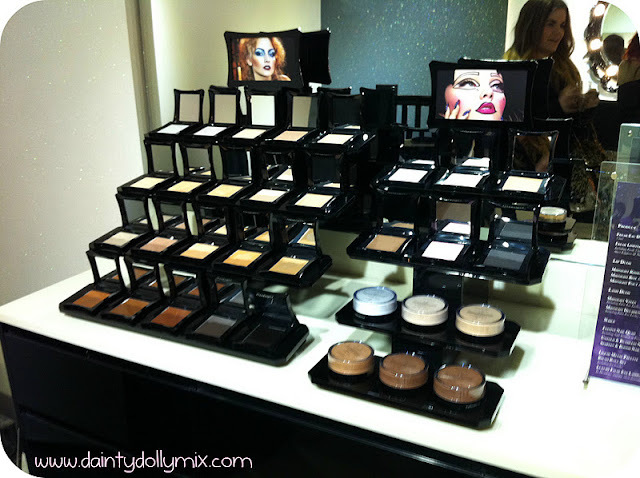 Wish there was an illamasqua store near me! looks amazing. 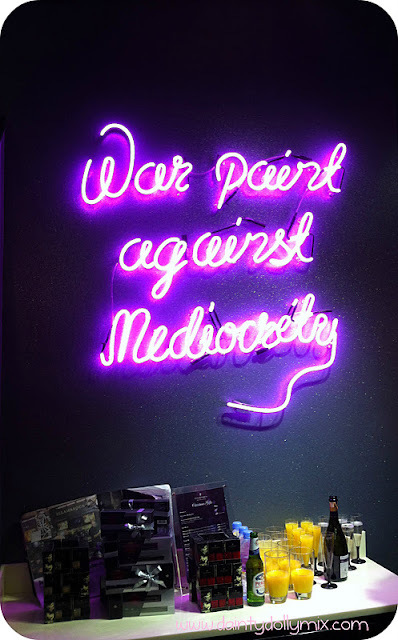 wow the store looks amazing! I think I spotted the girl from My Transsexual Summer in the last photo! Looking forward to checking the store out next time I'm in Leeds, we need more up north!